The NEW Scrubba Air Sleeve, inflating protection for laptops, tablets and a travel pillow for your head - wherever you want to go. 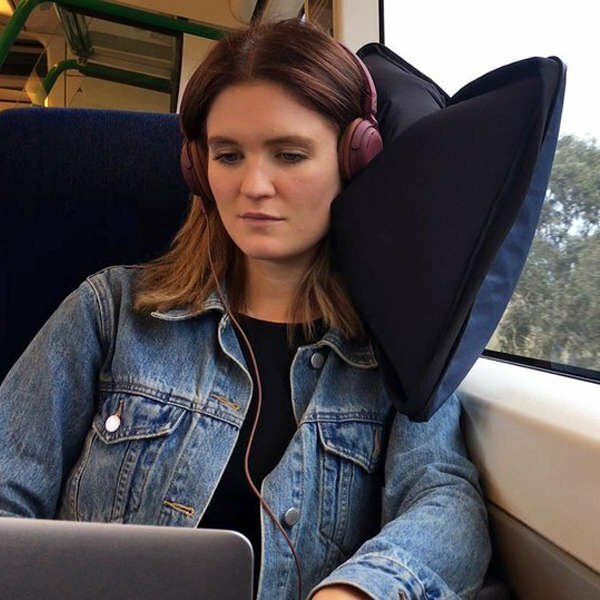 An 'airbag' for your tech and a pillow for your head. 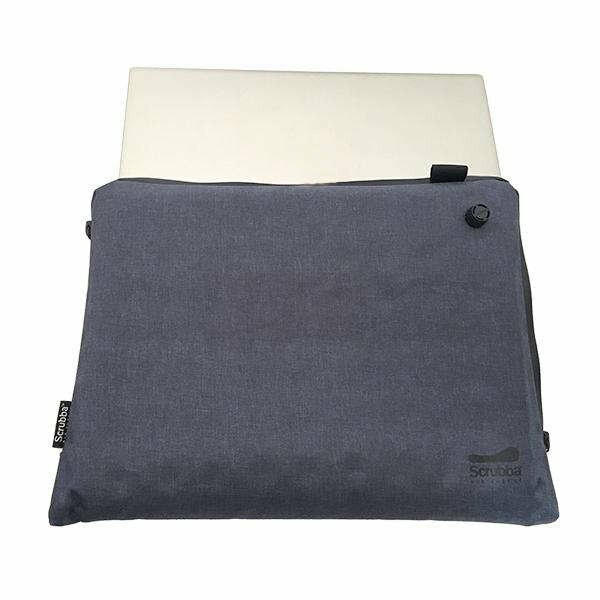 The versatile Scrubba air sleeve promises to bring a little extra comfort, protection, and style whether for the office or the outdoors. Makes a strong case for a soft sleeve. Small and light for compact storage, it auto-inflates via the attached valve to provide a protective cushion of air that shields against minor bumps and knocks. Multiple functions that pack a punch. Made with durable and splash-proof 300 denier TPU coated exterior fabric and air for maximum protection for you tech you can travel worry free. 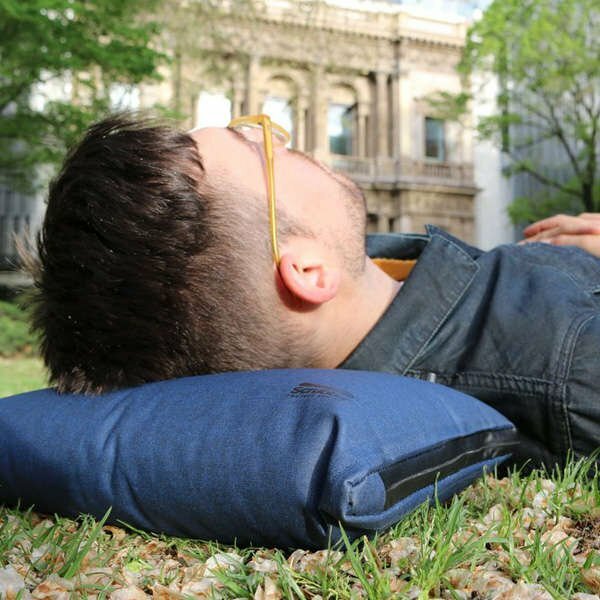 In its over-inflated state, the Scrubba air sleeve acts as a small, comfortable travel pillow, perfect for relaxing at the park or trying to catch up on some sleep at the airport. Functional with or without a laptop inside, you can easily lounge around with a book or sneak in a power nap, all while knowing that your laptop is secure and unlikely to become a target of theft. For even more comfort, fully unzip the sleeve, remove your device, and blow in more air until the sleeve forms a large pillow. 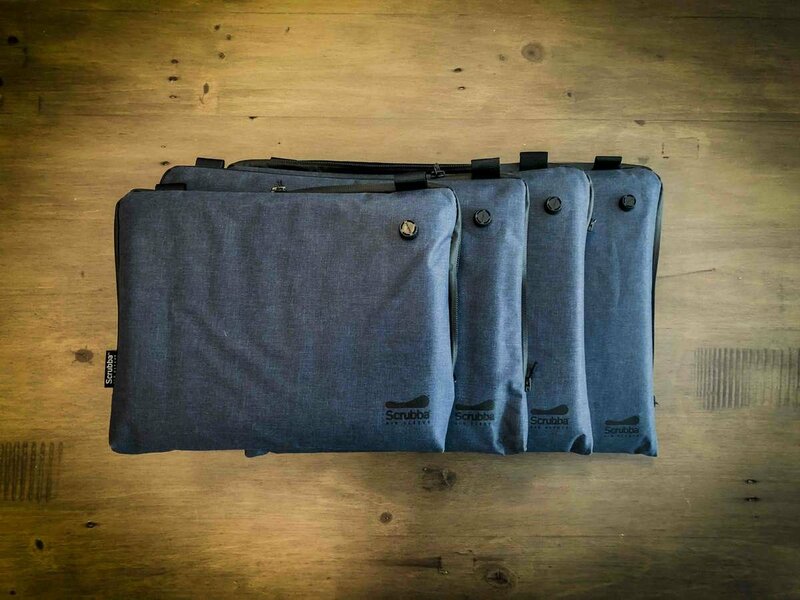 With a durable base suitable for rugged outdoor environments and a plush upper for maximum comfort that insulates against noise and cold, the air sleeve is ideal for helping you work outdoors and travel on long-haul flights and trains in ultimate comfort and style. Choose the size that's right for you. 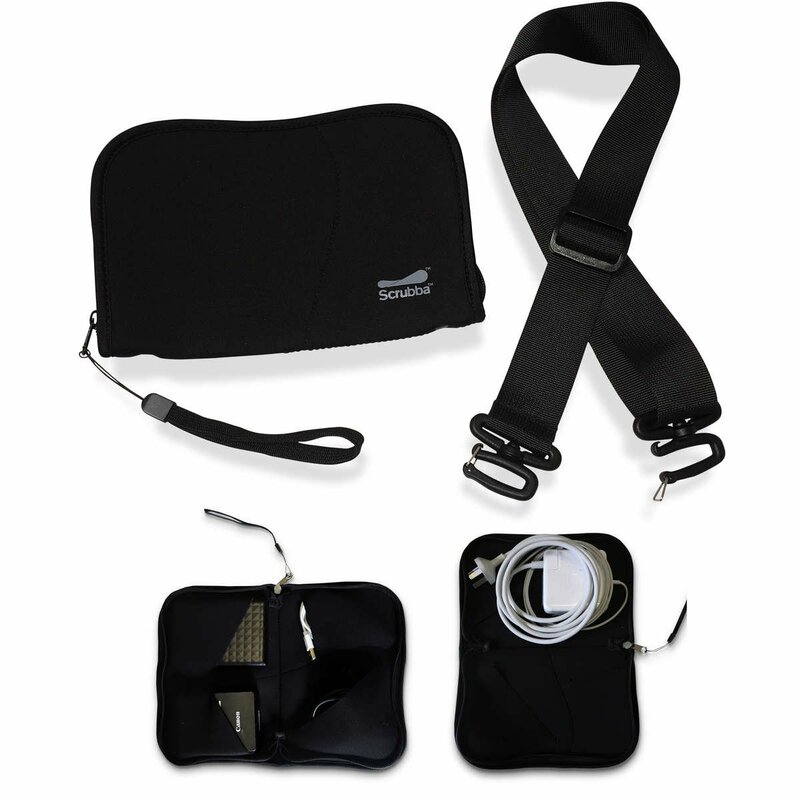 Designed for convenient use with the Scrubba Air sleeve, the Scrubba cable pouch and shoulder strap combo make it even easier to commute in maximum comfort and style while keeping your tech safe and secure. Looking for more Scrubba Products? © 2019 Scrubba by Calibre8.